Please be informed that University of Central Lancashire, UK is offering Engineering and Computing course with the placement options for January 2016 Intake also. The students will get the CAS for 2 years. NOTE :The placement is part of the course. Student will receive training to apply for placement and guided to find a suitable placement. A first or second class Honor’s Degree in an engineering or science subject, or a professional qualification or combination of qualifications and experience which demonstrate the knowledge and skills equivalent to first or second class honours degree standard in science or engineering. IELTS requirement of 6.5 with no band less than 6.0.IELTS can be waived off based on good 12th English Marks. A Bursary worth £1,000 per year is available for undergraduate and postgraduate taught applicants who are Indians. The Vice Chancellor’s International Award is given to high achieving students to reward their academic results. 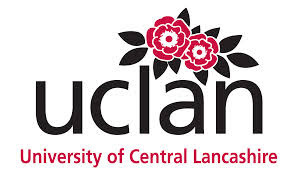 It is worth £1,500 GBP and is given per year of study at UCLan and is available to students who are new to UCLan. This award is for self-funded international students applying for full-time taught programmes of study at UCLan. Students do not need to fill in a separate application form..